Today the Virgo Moon continues to wane, diminishing in light as we approach the New Moon on Friday. Now is the time to finish up, let go, clean our desks, and get organized to receive and recognize the inspiration which will come at the New Moon. This is the time for assimilation, documentation, and archiving. Write that final report and get it off your desk. This can be a very difficult phase of the lunar cycle for Type A leadership personalities who want to keep moving ahead constantly. You may get some hints about your next project today, especially as the Moon forms aspects to Venus, Mercury, and the Sun in resourceful Scorpio and Jupiter and Uranus in intuitive Pisces. If you see a potential, you’ll want to grab it and make it happen. But not so fast. This is a time to pause, if not for ourselves, then for those around us. Encourage your staff to finish up their projects and then set their lives in order: clear their emails, file hard copies, even clean the bathrooms and dust keyboards and screens. This is an extremely important part of the natural cycle and one we all tend to skip when we’re moving too fast. Then we get firmly into the next phase with clutter lingering from the past, and we wonder why we can’t keep up with everything. The other possibility is that all the watery energy mixed with perfectionist Virgo will cause us to be too lost in our organizing. Every email we file we’ll want to re-read; every magazine will call us on its way to the recycling bin. Hours and hours can be wasted in the name of being thorough. So watch for this too. The Virgo Moon has an affinity with time; why not set a finite time for yourself and your staff and some reward at the end? That will keep the energy moving at a clip right to the end of the project. I once worked in an organization where two hours were set aside every Friday for documentation and archiving. The only communications allowed during those two hours were those related to documentation. It was remarkable how much could be accomplished during those two quiet hours and how often we turned to the documentation in the future. And there was always tea in the café at the end for a bit of relaxing and conversation before heading back into productivity. The Virgo Moon is excellent for this housekeeping. If the piles around your office are bugging you (as mine are) allocate a few hours to put away the past. Like getting a good haircut, this is our opportunity to break with the past and its lingering doubts or regrets. Then everything will be fresh and ready when the energy begins to increase again next week. How has your week been so far? Are you feeling the approaching Full Moon and the transition of Uranus into Aries on Thursday? The Full Moon is a monthly phenomenon and the Moon’s cycles in astrology primarily represent the ups and downs of everyday life. The Moon corresponds to the people we meet day to day and the emotional reactions and responses that form our daily experience. The Full Moon is a peak of activity, interaction, and accomplishment. An idea, project, or alliance born with the New Moon gains speed and traction in the two weeks that the Moon waxes to Full, enjoys a few days of fruition, and then loses energy as we approach the next New Moon. Then the cycle begins again. Given the constant repetitiveness of the cycle and its relatively short duration, you can sense that the Moon affects the rolling, repeating, personal aspects of life: what time do you go to your desk each day? What will you eat today? Gassing up the car. Pruning the roses. Balancing your bank statement. Weekly meetings with employees. Paying the bills. Washing the clothes. Heading home from work each day. Today, the day before the Full Moon, it’s like we’ve pushed a boulder almost all of the way up a hill. We’re so close, with just a bit more exertion we’ll top the hill and the boulder will begin to roll on its own. And today, we’re lucky because there is an aspect between the Moon and Mars that will give us that extra push we need, a burst of will power that can take us over the top. Keep going; you’re almost there. The transition of Uranus into Aries on Thursday is a much more far-reaching event. 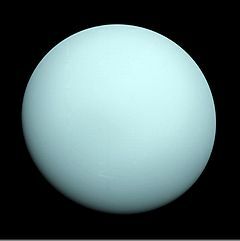 Unlike the monthly cycle of the Moon, the cycle of Uranus is 84 years! Standing at the cusp of this event is like standing at the birth of a baby, or a scientific discovery, or a new government. This is not a coming and going kind of event; it marks the beginning of a long, long cycle which will most likely outlast our lifetimes. It’s very natural to feel in limbo at this time, or in “the neutral zone” as William Bridges defines the term in his book, Managing Transitions. It is an in-between time that can be uncomfortable with its lack of clear direction for the future. We know the old is dying but we don’t know yet what is being born. So this week can potentially feel pretty weird. One part of us resonates with the Full Moon and the push to accomplish; the other part of us feels the transition point between the old and the new and an underlying disorientation. There’s a lot to do in our daily lives, but the bigger picture is fuzzy at best. For more reading on Uranus in Aries, see the category to the right. The following question comes from a reader with a good understanding of astrology. Please don’t get discouraged by the technical terms – her question posts an issue that applies to all of us and allows me the chance to spell out some fundamental astrological principles. 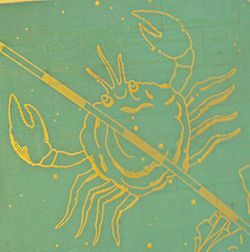 How does a personal astrology chart interact with the bigger astrological influences? I’ve wondered this often, and my current situation brings it up again. In my chart I have transiting Jupiter conjunct natal Saturn in my 10th house. My understanding of that, is this is a great time to make things real in the material world – particularly as it relates to my career. And since I own my own business, for my company. Jupiter is within 1 degree of my natal Saturn tomorrow. But, Mars is in retrograde and there will be a void Moon tomorrow afternoon. I can’t tell you how often this is the case. One part of the astrology says “go”; another part says “no”. Life is like that, isn’t it? It’s a complex undertaking, not often reducible to black or white. When we are born, we enter a world in the midst of cycles. The moon may be waxing or waning, the sun may be heading into the northern or southern hemisphere, some planets may be retrograding, others are in the signs they rule so are very strong, others may be weakened by aspect, etc, etc, etc. And we step in to all this motion, stamped indelibly by these first impressions, or if you prefer, aligned perfectly with the needs of our soul’s journey. These cycles don’t stop. Within a few moments after your birth, planetary positions have shifted and the degree on the horizon which indicates your rising sign has changed. The cycles zoom ahead – all of the way to the present moment. The moon completes a full cycle every month, the Sun every year. Each planet has its cycle, with the outer planets taking so long they don’t complete a full cycle in our lifetime. Some cycles repeat themselves over and over in our lives and some don’t have time to repeat at all. The position a planet occupied at the moment of your birth is always sensitized in your life. The planet moves on from that point, but that point in the zodiac continues to hold meaning for you. 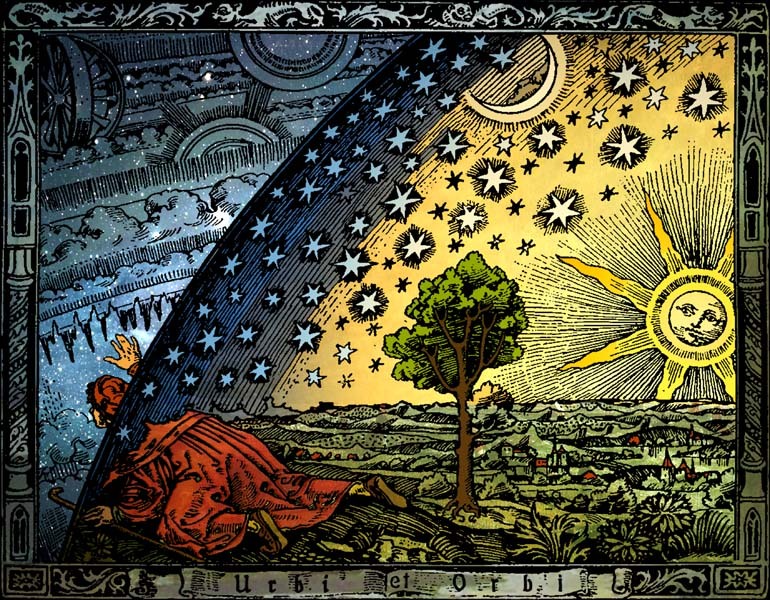 When another planet in its orbit passes that sensitized point or forms a mathematical angle to it, there is an opportunity to work with the issues described by the two planets, the original one and the one passing through. Sometimes this is a purely inner experience, an awakening of some kind. Sometimes the inner experience is reflected in the outer world and we learn more about ourselves in relation to others during the transit. Now all of this can get very complicated, very quickly. Just think of all your experiences and relationships even in the current point in time, all the roles you play, your interests, your feelings, your yearnings, what has gone before and your hopes for the future. Every single facet of life is reflected in the cycles of astrology, so you can imagine how complex each moment is, astrologically speaking. One thing is certain: the experiences you came for, you will get. My spiritual teacher once said that we came to this earth with something to learn and something to offer. You will have the opportunity to both learn and offer within the cycles shown in your astrological chart. In this way, the unfolding of our personal astrology chart is part of and contained within the bigger astrological influences. So if you are having an influence that lasts a few weeks, like the reader’s Jupiter transit of her natal Saturn, but Mars is retrograde at the time, the retrograde Mars is part of the unfolding of the Jupiter/Saturn transit. That Jupiter/Saturn transit was always going to unfold that way, with Mars retrograde. If you’re looking at transits ahead of time, they must always be considered in concert with the other cycles happening at the time. Like I said, all of this can get very complex. So I appreciate the advice of my current astrology teachers, Darrelyn Gunzberg and Bernadette Brady. They use the K.I.S.S. principle, which they say means, Keep It Simple, Student. They advise us to pick two or three of the most important cycles unfolding in relation to our birth charts and interpret all of the lesser cycles in terms of these major ones. In other words, if you are experiencing a major Pluto transit now, the theme of transformation through destruction and irrevocable change will be playing itself out in some part of your life. The monthly lunar cycles, or Mars retrograde, or even a Jupiter transit to your natal chart must be interpreted within the meaning of regeneration shown by the Pluto transit. Everything will contribute to and become part of this overarching development. So, specifically in answer to the reader’s question, if Jupiter is bringing opportunities for expansion of responsibility and structure (Saturn) to her business (10th house), then retrograde Mars indicates that these opportunities will be found by looking back at ground previously covered, rather than initiating something brand new. In this way, the Mars retrograde becomes a helpful clue to discover the source of the Jupiterian opportunity. There is more to be said regarding how to choose which cycles are the overarching themes, and the timing of the unfolding of experiences as they are revealed in the chart, but I think this is enough to digest for now. I’ll just leave you with one other thought, something I have learned from my spiritual studies: each moment is auspicious. Each birth is auspicious because your Soul, the great Soul, has decided to enact a certain play in these cycles of space and time. Your chart is a translation of the infinite light of the truth into everyday life in this world. A client called this morning with a question. She had unexpectedly been asked to travel overseas with a celebrated expert in a field of her interest. She is a very successful professional, well known and highly respected in her own right. In order to take this trip she would have to be away from her business for a few weeks, as well as invest time and money. She also had a concern whether her health could withstand the trip to a developing country. Is this an intersection between business and astrology? You bet. With an astrologer’s ability to look ahead to timing and trends, plus the in-depth knowledge of the person’s strengths, challenges, and aspirations from the natal chart, this was an ideal astrological question. For my readers who are students of astrology I’ve included the key elements in parentheses below. There are also a caution about power and giving over too much authority to another during the journey. (Transiting Jupiter opposing Pluto in the 2nd house) So I was able to warn her to be willing to learn, expand, and change, but to hold on to her own deep knowledge and expertise. In fact, she may teach as much as she learns! The sudden turn of events was clearly shown in her chart, but also that she had the discrimination to make the right decision. (Transiting Saturn in Virgo in 3rd house sextile Ascendant/Uranus conjunction) It also indicated that the teacher she was traveling with would be a task-master who would require lots of detailed focus and attention – this would be no vacation! So, all in all, I thought it an excellent idea. Her investment would be well-rewarded in learning, plus in long-term career enhancement. The decision, of course, is her own; I’m not sure at this point what she will decide. But I thought I would share an example of how an astrological advisor can support a businessperson’s decision making. We’ve been looking at the stages in the business life cycle, Start-up, Growth, and Expansion, and correlating them to the developmental cycle of the Zodiac. In this post we look at the final two phases, maturity and transition. The proliferation of complex organizations has made almost every human activity a collective one. We are born, raised, and educated in organizations. We work in them and rely on them for goods and services. [Capricorn] We learn in schools and universities. [Sagittarius] We play sports in teams. [Aquarius] We join clubs and associations. [Aquarius] Many of us will grow old and die in hospitals or nursing homes. [Pisces] We build organizations because of what they can do for us. They produce consumer goods, bring entertainment into our homes, provide education and health care, and deliver the mail. 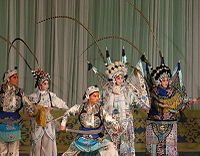 Capricorn signifies the beginning of the phase when the business becomes a complex, collective organism or institution. This phase is another major transition for the business, with great rewards. However the risks are very real. At this point the business is known in the marketplace and the community. There is prestige, honor, and success before the public. There are loyal customers and a significant volume of repeat business. Yet, now that the business is so integrated into the overall economy, economic changes due to societal or market conditions can impact sales and profits. The bureaucracy which has allowed the institution to reach the mature stage has become imbedded in the organizational culture. This bogs down the entrepreneurial spirit needed to respond to market changes with new products and innovative services. The business is beholden to and may become run by stockholders, and employees may wield control with collective bargaining. The business is less and less able to compete with smaller, more responsive competitors. Capricorn qualities of strength, dependability, persistence, efficiency and practical response to internal and external threats are needed at this stage. In the Aquarian phase the entrepreneur’s original goals of individual self-expression and gain have been left long behind. By this phase, not only has the bureaucracy made innovation highly cumbersome and unlikely, but the company has become an arena for union activity, employee ownership, and pension obligations. The social has overtaken the individual. Costs are high and productivity may stagnate. If the company attempts to reduce costs, it must fight against entrenched attitudes and the status quo. When a company is in the aging side of the lifecycle, it is less likely to be able to call upon traits such as adaptability and flexibility. These are the “too big to fail” companies and government intervention may shore them up but at a high price in terms of reputation and control. In order for innovation to be created, it must come from the bottom up, and management must provide the means for employee team contribution. Or the business may look to collaboration with outside partners and open innovation for new ideas and invention. Yet this carries risks if outsourced suppliers deliver inferior goods, as was the case with toy company contracts in China. The Aquarian traits of mental pioneering, and independent, imaginative, creative, thinking are critical to see the company through this phase. The Pisces stage is the transition stage, either to decline or to a new cycle of innovation. Retiring staff and owners are interested in management succession and exit strategies. Key employees may break off from the behemoth institution to begin their own start-up activities, taking talented resources with them. The company may be broken up into smaller divisions in an attempt to reinvigorate the entrepreneurial spirit. This is the phase when high costs and declining sales can lead to dissolution. The company may falter, leaving it open to attack by corporate raiders. The business retreats from the public eye to retrench, restructure, or terminate. A successful retrenching will allow the giant company to retain the competitive advantages of its size while discovering and harnessing the entrepreneurial talents of individual contributors. 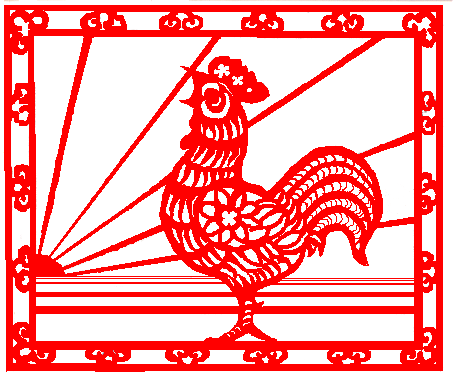 This leads the business to the start-up phase again, as our Zodiac wheel turns to Aries. Today we’ll continue looking at the zodiac and the business life cycle. In the last post we examined Aries, Taurus, and Gemini and the start-up phase of the business life cycle. Today we’ll look at the next phase, the growth phase. At the Cancer stage, which corresponds to the solstice point in nature, we reach a major “make or break” point in the business cycle. No longer in the start-up phase when we’re intent on fulfilling our own dreams, in order to grow our business we have to begin to respond to the needs of our customers in order to generate additional revenue. We may revise our original business plan based on feedback from our clients and customers to develop into areas that serve the customer and are profitable to us. We may hire new employees to meet the demands of the business and this presents a major test in the business. When employees begin to represent the business to others the business begins to develop a separate identity from the owner. The Cancer qualities of receptivity, flexibility, and response to the needs of others are important at this stage. In this phase we’ve made it through the first growth crisis and have arrived at the point where a more formal structure of leadership is needed to consolidate and perpetuate the growth of the business. It is time for a leader, presumably the owner, to take charge and structure the business to deal with increased sales, customers, and employee issues. With growth comes the challenge of steady profitability and at this stage there is a constant array of challenges bidding for time and money. Effective leadership is critical to make decisions and stay on course. In the Leo phase, the traits of courage, leadership and vision are important to pilot the business to success. At the Virgo stage the company needs to professionalize management and develop consistency, training, and customer service. More administrative elements are necessary and more complex accounting and management systems need to be set up. Leadership should focus on training and delegation to free them to plan and prepare for the expansion to come in the next phase. Formal business analysis is necessary to make sure the business is on the right track and can sustain itself without hands-on guidance from the owners. To increase efficiency, documentation of business processes, policies, and procedures is important at this stage. The Virgo’s penchant for analysis, order, organization, and detail are critical to the business in this phase. We’re now half way through the zodiac, and ready for the next transition in the business cycle. In the next post we’ll take the next step and move into the expansion phase. Writing to you from outside London, in Sevenoaks, Kent. I’m staying in an apartment with a sweet back yard full of flowers, apples, and plums, lush, green, and about 20 F degrees colder than Georgia, USA! Change of scenery, change of pace, Mars in Cancer still working its way through my life. How about yours? In recent weeks we’ve looked at long-term influences correlated to the slower-moving planets with an eye to understanding current and future conditions that will have a bearing on our business plans for 2010. We’re getting there! We’ve looked at Pluto in Capricorn, Neptune in Aquarius, Saturn in Virgo, and we’ve begun looking at Uranus. Before we examine Uranus in the sign of Pisces, I want to give an overview of the cycle of the zodiac and the standard business life cycle. The progression through the zodiac is a map of the natural cycles of development and change that all life goes through, including the life cycle of a business. Over the next few posts, we’ll look at these natural cycles and how they are also reflected in business life cycles. Whether a new product, or an established product or service in a new location or market, this is the initiatory phase, the spark has ignited but it has not burst into form yet. At this stage the Aries traits of courage, independence, and enthusiasm are apparent. This is the stage of business development when the spark of Aries begins to take a form. Taurus is an earth sign ruled by Venus, and as such, is concerned with manifesting an idea in the physical world. At this stage the business owner chooses and registers the name and opens a bank account in the business name. There may be research and product development, obtaining financing, and setting up the legal structure for the business. This is the phase when products or services begin to be in production, and when there begins to be a customer base and market presence. Hopefully at this phase the business begins to create cash flow. The Taurus traits of practicality, persistence, and patience are needed at this stage. Gemini, an air sign ruled by Mercury, brings to the business sales and marketing efforts, signing procurement contracts, setting up the bookkeeping, and obtaining the necessary licensing. In this phase advisors such as accountants and lawyers are chosen and usually the form of the business, whether incorporated, limited, or sole proprietorship is chosen and legally established. Producing sales and services to generate cash flow becomes a major focus for the business. The Gemini traits of versatility, rationality, and communications ability are important to the developing business at this stage. 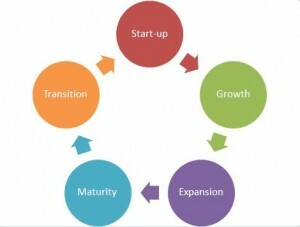 These are the signs that correspond to the start-up phase of a business life cycle. Once these initial steps have been taken, more complexities come into play, as we’ll examine in the next few posts. Any Mercury retrograde stories? I’ve got one. My daughter-in-law Natasha went to the train station today to buy a monthly commuter ticket for her job that starts tomorrow in London. The very nice man at the ticket counter said that the computerized ticketing system had been down all day and they were trying not to sell tickets today because they would have to process them manually. She had to patiently wait (she’s a Taurus) as the man repeated himself eight times that he was trying not to sell her a ticket. Her Taurus persistence won out and she finally bought the ticket, although we’re hoping it is in the system by tomorrow morning at 6:30 when she has to catch the train. Is anyone else having trouble with Mars in Cancer, besides me? Aarrgh! Since I began writing this blog, Mars has been in the previous sign, Gemini. Gemini, an air sign, is the sign of writing and communications and applying my energy in this way was like taking an easy stroll on a well-maintained forest trail, lots to see, a clear path ahead. In my natal chart Mars is in Libra, another air sign, and I have always been very comfortable applying my energy to mental endeavors. Now that Mars is in Cancer, a water sign, I feel like I’m stumbling around in the dark, blind to the way ahead, swimming in muddy water. My normal clarity has deserted me. Occasionally, like this morning, I wake up inspired about how to proceed but all day yesterday I could only wait. I did some research and tried a little stream of consciousness writing, but even that wasn’t productive. My stream had nothing in it. My mind usually operates in a very linear way. I can map out and accomplish my goals in a step by step fashion, easily recognizing what is the next right action to stay on a productive course. With Mars in Cancer, which is Moon ruled, the thought-waves in my mind are like the Moon, waxing, waning, hard to see, hard to trap. Like the crabs in the ocean that constantly evade my Labrador, my thoughts scurry away to hide in seaweed and mud, camouflaged so effectively they elude me. How are you doing with this transit, which lasts until mid-October? I am surprised by how front-and-center this shift in energy feels, and the impact it is having on my business. Because of some travel in the next few weeks I had a carefully charted plan about how I was going to keep posting to this blog every day and keep in touch with my clients. As soon as Mars moved into Cancer, my plans fell apart, family matters impeded, I fell behind. I suspect I am having a hard time with this shift because my natal Mars is in an air sign. Air signs, such as Gemini, Libra, and Aquarius, prefer activity to be precise, planned, organized, predictable, timely, and balanced. People with Mars in the water signs, Cancer as well as Scorpio and Pisces, are motivated by feelings, sensitivity, inspirations, natural timing, and energy ebbing and flowing in its own rhythm. I imagine those with natal Mars in a fire sign, Aries, Leo, and Sagittarius, are also having a hard time with Mars underwater. Mars is in its own element in the fire signs, and people with Mars in fire signs are used to inspiring and motivating themselves and others through challenge, aggression, and speed. This dynamic energy is not a good match for the empathic, interior, home-based Mars in Cancer. People with natal Mars in an earth sign, Taurus, Virgo, or Capricorn, are probably a little more comfortable with Mars in Cancer as they too can be a little slower to react and more rhythmic in their energy flow. But Mars in earth signs wants to be productive in practical, useful ways. They are interested in setting goals and applying themselves to results and outcomes. Mars in Cancer is not outcome oriented. This is a period when activity is based on cycles and phases and the ideal outcome is one that brings people together to form family-like bonds. Every sign has its place in our development, and every season has its lessons. What will be the lessons of Mars in Cancer? As surely as it came, it will leave again in mid-October. For two months every two years, those of us with our natal Mars in other elements have to be more intuitive, more empathic, more willing to be motivated by interpersonal connection than our own goals and accomplishments. I guess that’s not a bad thing, as uncomfortable as it feels right now! How are you doing with this transit of Mars through Cancer? Can you feel it? Did your energy shift last week? Let me know how you are experiencing your motivation and productivity at this time. It would be lovely to know your natal Mars when you respond. If you don’t know it, send me an email to the address at the right, and I’ll draw up your chart and let you know. I saw the movie Julie and Julia this weekend. Although I enjoy cooking and have prepared many elaborate meals and desserts, I never explored Julia Child. My mother didn’t have her cookbooks, and we didn’t watch PBS when I was growing up. After seeing the movie, which I really enjoyed by the way, I, of course, wanted to see whether Julia Child’s horoscope was available, and if so, what it revealed about her business life. I was delighted to find her horoscope is available and a concise biography in Wikipedia. Remember last week we were discussing the 29-year Saturn cycle, and how it reflects the timing of someone’s business life? As I read through the biography I was once again awed and inspired by the accuracy of this cycle. the ending phase when the person sells or otherwise ends the business and begins looking for something new. Over the next few years she studied French Cooking at Le Cordon Bleu and later privately with several master chefs. She also began teaching cooking to American women in her own kitchen, and for ten years collaborated with Simone Beck and Louisette Bertholle on a French cookbook for Americans. Ten years of painstaking work which reflects “the building phase when nothing but hard work is apparent”. In 1961, the tome Mastering the Art of French Cooking was published. It became a best-seller, won critical acclaim, and is still considered a seminal culinary work. Following this, Child wrote magazine articles and became a regular columnist for The Boston Globe. At this point, Saturn was entering her ninth house, which rules publishing, and approaching the culmination phase. Right on track! In 1962 she appeared on the National Education Television station which led to her own television cooking show. The French Chef debuted in 1963 to immediate success, and for the next 10 years she won awards, attracted large audiences, and continued to receive critical acclaim. The year the show debuted, 1963, was the beginning of “the culmination phase when the endeavor receives public acclaim and financial rewards”. Right on target again, Julia – you make it look easy! The next twenty years can also be tracked through the Saturn cycle, reflecting her publication of her self-named “magnum opus” The Way to Cook in 1989, as Saturn entered the ninth house again. The culmination phase is shown by her myriad television series and appearances between 1992 and 2000, and includes honorary doctorates from Harvard University, Smith College, Brown University, and several others. She retired in November 2000, as she was just entering the next ending phase. Isn’t that cool? Key take-away: There is a natural cycle to business success. If your business is not where you think it should be, check with your astrologer. The time may not be ripe. You may be in synch with the Saturn cycle instead.